The Central Bank of Egypt (CBE) said in a statement on Monday that the country's foreign debt has reached $88.2 billion at the end of March 2018, a $9.1 billion or an 11.6% increase since the end of June 2017. The CBE underlined that the net use of loans and facilities increased by $7.4 billion and the exchange rate of most currencies borrowed against the US dollar has risen by $1.7 billion. In addition, the CBE highlighted that the external debt service burden reached $10.9 billion during the period from July to March of 2017-2018 fiscal year, noting that the ratio of the balance of external debt to GDP has amounted to 36.8%, which is safe according to international standards. Meanwhile, the CBE pointed out that the total domestic public debt reached EGP 3.356 trillion, representing 86.8 percent of GDP by the end of March, explaining that 84.8% of the debt is government debt, 8.1% for public economic bodies and 7.1% for the National Investment Bank. The CBE also explained that the net balance of domestic debt owed by the government amounted to EGP 2.99 trillion in March, an increase of EGP 313 billion during the period from July to March of the fiscal year 2017-2018. 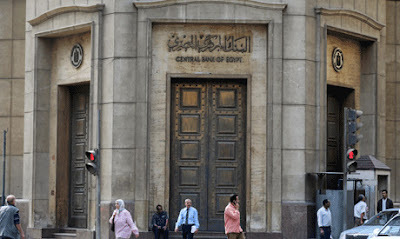 Recently, a number of international financial institutions and organizations praised Egypt's progress in implementing its economic reform programme. On Monday, the World Bank Vice President for Africa Hafez Ghanem stressed that Egypt witnessed remarkable improvement in its economic indicators, reflected by the increase in growth rates and cash reserves. "This improvement qualifies the Egyptian market to receive more investments", Ghanem noted. In press statements on the sidelines of the African group of the International Monetary Fund (IMF) and the World Bank Group (WBG), which concluded in the Red Sea resort of Shram El-Shiekh on Monday, Ghanem said that the bank has allocated $18 billion as financing for the African continent during 2018. 'Egypt's portion of these financings will increase during the coming period', he asserted. Ghanem highlighted that Egypt is one of the countries which seriously implemented economic reforms over the past years, thanking the Egyptian government for organizing the conference. In 2014, Egypt embarked on a plan to introduce a number of fiscal reforms, including fuel subsidy cuts that increased prices up to 78 percent, as well as imposing new taxes to ease a growing budget deficit.